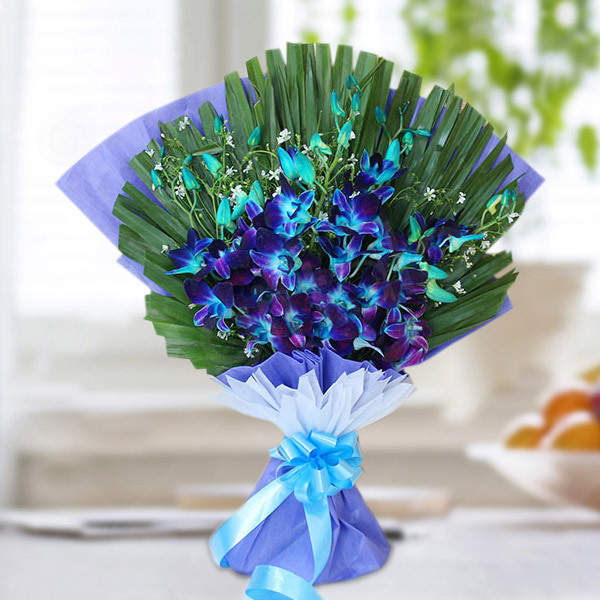 The green leaves and fillers are used in the bouquet according to their seasonal availability. The ribbons and wrapping paper can be reused for decorative purposes. Orchids’ seeds are the tiniest in the world. These flowers can live for more than 100 years! 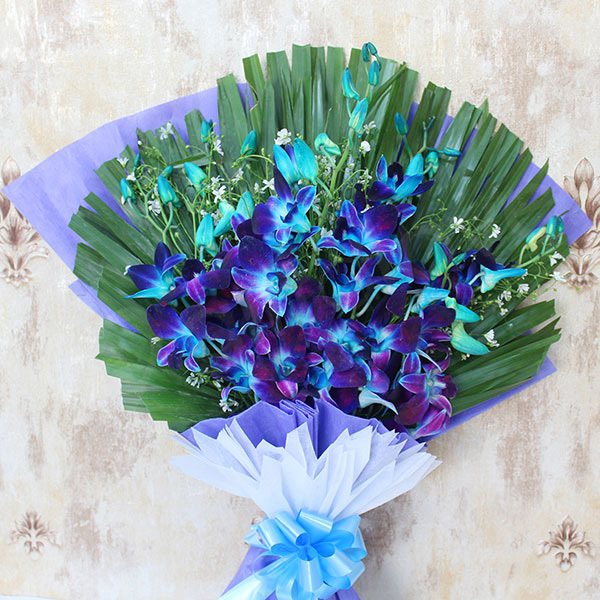 Such a lovely bouquet of blue orchids! This bouquet of ravishing flowers is decorated with green fillers and is a great option to bring so much charm in any kind of celebration. 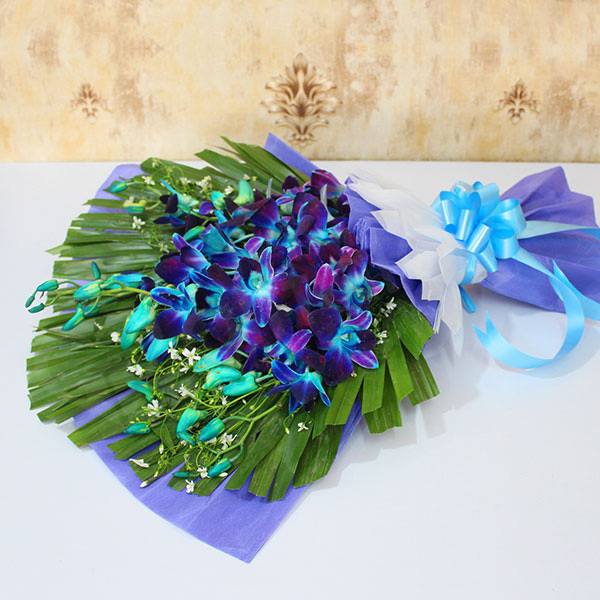 It also makes a great choice to convey your heart’s emotions to someone special! So, hurry now to grab this offer!